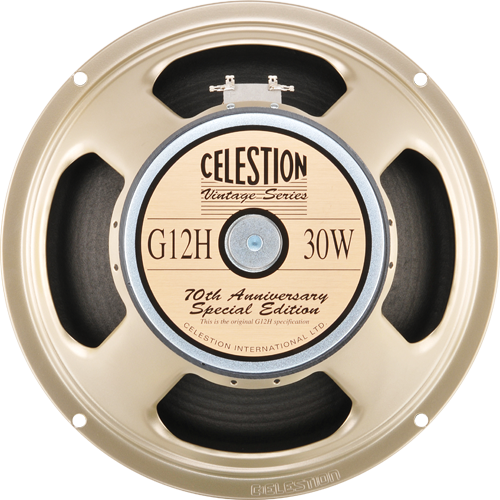 Celestion are a UK based speaker manufacturer that have always been at the very top of the pile since the first Marshall and Vox amps appeared in the very early 60s. Tony’s live rig of eight Laney 4×12” cabs is loaded with Celestion G12H model speakers, 32 in total! Back at Tone Hall, Tony’s studio, we have cabinets loaded with G12Hs, Vintage 30s and the G12H Heritage (this is the G12H model exactly as it was made back in the late 60s/early 70s using original materials). These guys are an integral part of the history of rock music. How was the distortion achieved?